Vatika Group has built a reputation for developing commercial real estate, at par with international standards. We emphasis on creating innovative yet simple architectural designs, which reflects the most elegant and classic refinements, while maximizing space usage. We provide turnkey solutions; designing and development, leasing/buying to maintenance, which has helped us gain the trust and confidence of businesses across India. Symbiotic relationships, not just short term partnership, to help you make the most. An ISO 9001:2008 certified company, Vatika Group, for the last 15 years has excelled as a developer of premier commercial spaces. Vatika offers commercial properties in prime and convenient locations, at major business centres and hubs across India. Our commercial real estates are well connected, to provide easy accessibility to all. 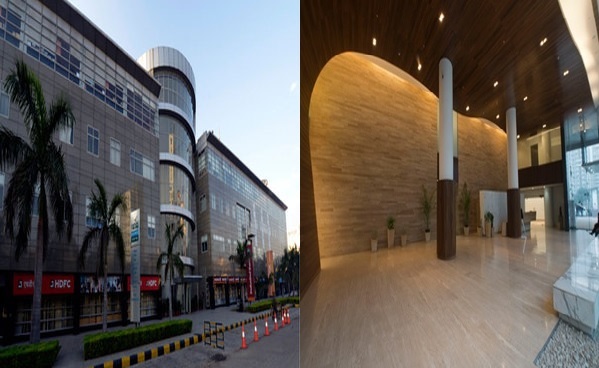 Designed by renowned architects, Vatika’s commercial spaces can be customized to suit the changing needs and requirements of your business, and also provide with maximum working space. Vatika Group’s facilities management team provides services for the upkeep and maintenance of the commercial premises. Our professionally trained staff handles all the operational details of the facilities, so that, you can focus on your core business, and realize its true potential. From the beginning of the 21st century, India has seen a consistent economic growth, with the impetus provided by a business friendly environment. With this growth, the demand for commercial properties has grown exponentially. An increasing number of entrepreneurs and businesses have come up, catering to various needs and demands of the market. We at Vatika Group understand that every business setup, whether big or small has its own needs and requirements. We strive to provide you with intelligent business solutions to help you grow your business to its true potential. Being one of the front runners in commercial real estate developers in India, we have become the go-to company for buying and renting solutions for commercial properties in India. This entry was posted in Real Estate Development and tagged commercial property development, real estate company, real estate developers on October 16, 2013 by Admin.